Put your slippers on and stock up on TV dinners. While there’s been no shortage of TV treats over Christmas, the good news is there will be plenty more to feast your eyes on in 2018. Ten new time travel adventures featuring the show’s first female Doctor will air in the autumn of 2018. 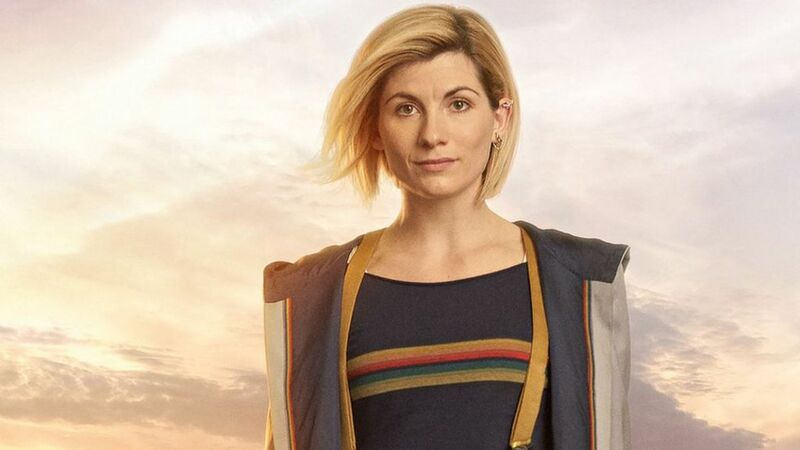 Right now little is known about Jodie Whittaker’s first series, except that she’ll be joined on the show by Bradley Walsh, Tosin Cole, Mandip Gill and Sharon D Clarke. The first series of the mind bending, futuristic thriller Westworld was a ratings and critical success. Expect the second season, likely to air late in the year, to delve more deeply into both the sinister goings-on and the dark history of the robot inhabited Westworld theme park. The dystopian drama, adapted from Margaret Atwood’s best seller, simultaneously thrilled and terrified audiences. The first series closely shadowed the events of Atwood’s book, but as the author didn’t write a second, Offred (played by Elisabeth Moss) will almost certainly see her story enter into completely new territory. The story of the lead up to and aftermath of a young girl taking her own life was the one of the most talked about series of 2017, exploring an uncomfortable but very real issue affecting huge numbers of young people. The next 13 episodes promise to further explore the effect of Hannah’s death on her friends and her community. Michael Sheen plays angel Aziraphale and David Tennant plays the demon Crowley in this adaptation of the late Terry Prachett’s comedy best seller which follows the pair’s often hilarious attempts to prevent the apocalypse, following the birth of the son of Satan. The comedy following the misadventures of the Connor family was one of the biggest hits of the 1990s. This reboot, which airs from March, sees the original cast of Roseanne Barr and John Goodman returning to see if the show aimed at reflecting and entertaining middle class families can work for a new generation of viewers. This two-part series is the third story adapted from the books by J K Rowling (writing as Robert Galbraith). This time around a dangerous and mysterious figure from private detective Cormoran Strike’s (Tom Burke) past threatens him and his assistant Robin Ellacott (Holliday Grainger). A series based on the debut novel from Gillian Flynn, the best selling author of Gone Girl. It stars Oscar nominee Amy Adams as a journalist, haunted by demons from her past, returning to her home town which has been hit by a series of brutal murders. It’ll air from June in the US. The man behind Skins, Bryan Elsley, has written this series about two girls who first meet on an online gaming website and then encounter each other in real life. The six-part series will air early in the year and feature live action along with computer-generated virtual world sequences. The film of Heathers was a dark 1980s high school comedy/drama. This reimagining for the 21st Century is a 10-part series where three girls all called Heather suffer at the hands of the popular high school elite. Shannen Doherty who starred in the original film has a cameo role this time around. Look out for this in the first few months of 2018. It was one of the biggest scandals of the 1970s, when Jeremy Thorpe became the first British politician to stand trial for conspiracy and incitement to murder. Hugh Grant stars as the disgraced MP in a three-part story from Doctor Who and Queer As Folk writer Russell T Davies. The bad news is that there are only six episodes left of the epic fantasy drama. The worse news is that it shouldn’t even be on this list, because the final episodes probably won’t air in 2018. Instead it looks like fans will have to wait until 2019 to find out who will win the Iron Throne.